Longtime British actor who became well-known for his voiceover work in the animated version of The Lord of The Rings. 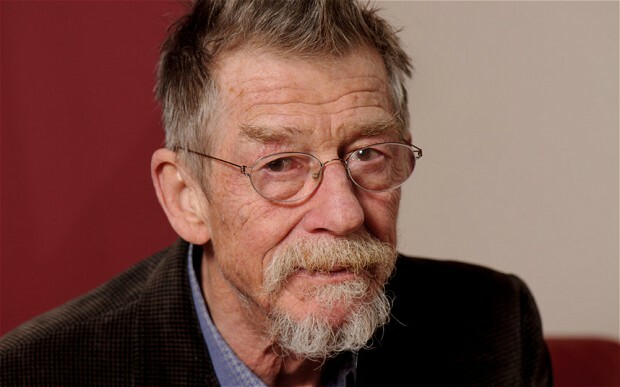 He starred as Krapp in Krapp’s Last Tape, Winston Smith in Nineteen Eighty-Four and John Merrick in The Elephant Man. He was also cast in the 2014 film Hercules and in the 2016 film Tarzan. He made his debut as a little girl in a school production of The Bluebird. His death scene in the 1979 film Alien is considered by many to be one of the most memorable scenes in film history. His older brother, Br.Anselm, became a monk and a writer at Glenstal Abbey. He has two sons named Nick and Sasha. He appeared alongside Natalie Portman in the 2006 political thriller V for Vendetta. The 76 year old January 22, 1940. Richard Lamar Hawk, better known by his stage name Silentó, is an American rapper, singer and dancer who quickly made a name for himself following the success of his single “Watch Me (Whip / Nae Nae)” which went viral on Vine and YouTube. The song peaked at #11 on the US Billboard Hot 100. He started with music when he was in 8th grade. He burst onto the national spotlight following the release of his hit track in April of 2015. He signed with Capitol Records in April of 2015. He was born and raised in Atlanta, Georgia. The music video for his “Watch Me (Whip / Nae Nae)” song that was posted to Matt Steffanina’s YouTube channel earned more than 12 million views and 100,000 likes in just 2 months. The 18 year old was born January 22, 1998. Actress known for her roles in the films The Outsiders, Under the Tuscan Sun, The Perfect Storm and Man of Steel. Her performance in the 2002 drama Unfaithful earned her Best Actress nominations at the Academy Awards, Screen Actors Guild Awards and Golden Globe Awards. She provides the voice for the mother in the 2015 Disney feature Inside Out. She began acting professionally at the age of six at an experimental theater club in New York City. She made her big screen debut in the 1979 film A Little Romance. She married Christopher Lambert in 1988. The couple had a daughter named Eleanor in 1993 and divorced the following year. She was also married to actor Josh Brolin for eight years before they divorced in 2013. She starred alongside Matt Dillon in the 1983 dramas Rumble Fish and The Outsiders, a pair of companion pieces directed by the great Francis Ford Coppola. The 51 year old was born January 22, 1965.